Production of dark green sprouts with a red vein. Exceptionally tasty sprout. 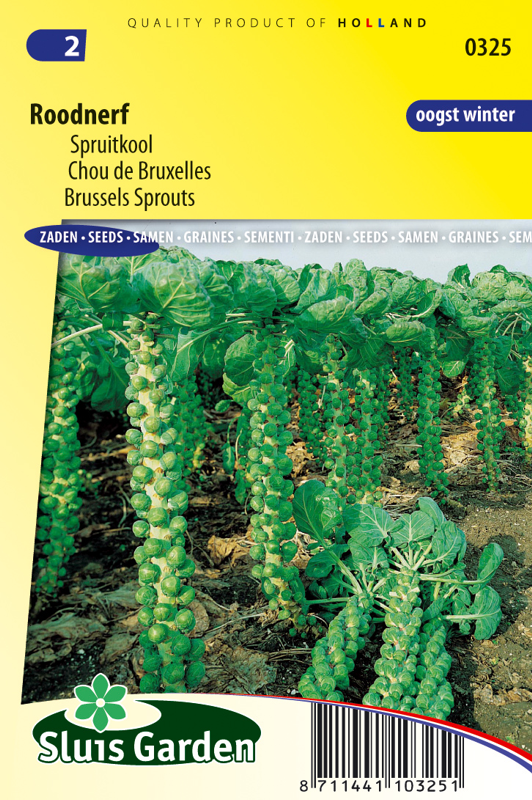 Start to harvest the sprouts from the bottom of the stem. Do not fertilize soil too much. Fertilizers too rich in nitrogen result in less compact sprouts. Harvest time is from November to late February under normal winter conditions. Fairly winter-hardy. Sow in a greenhouse or in the garden in seedbeds, then transplant later. Keep soil moist. 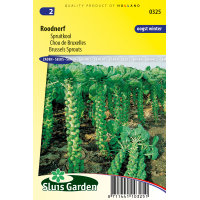 Use anti-insect nets to protect young plants against cabbage midge. Quite good sickness resistance.